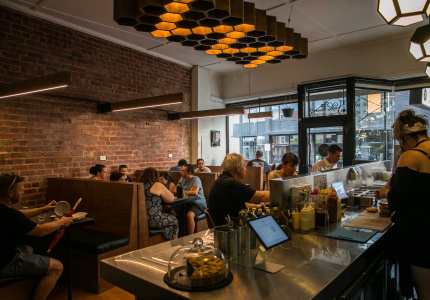 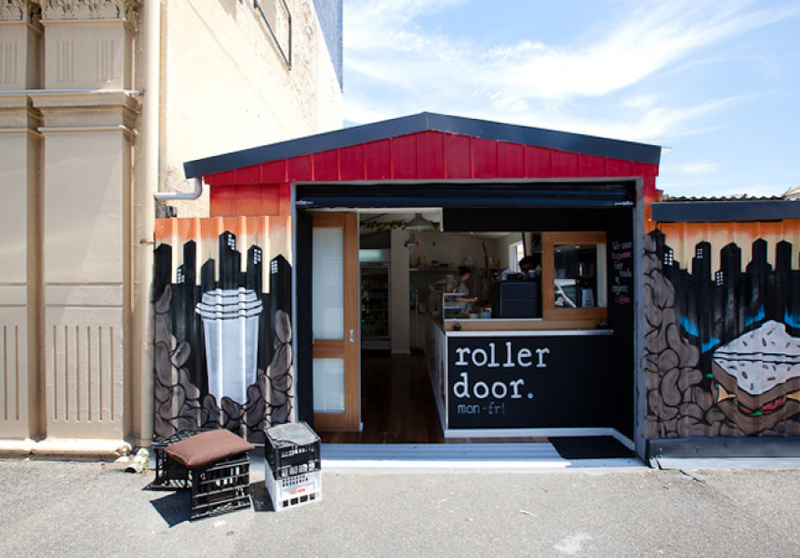 Just when you thought every last pocket of inner city Melbourne was taken, a cafe in a shed opens up its Roller Door in a little-known part of town. 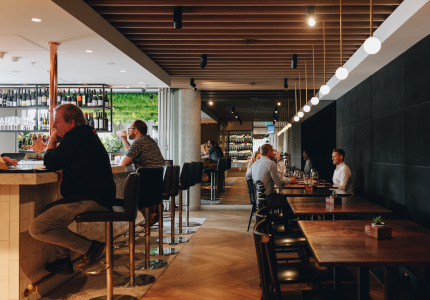 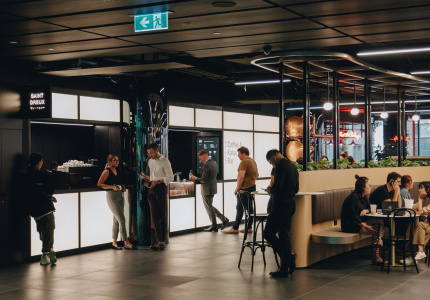 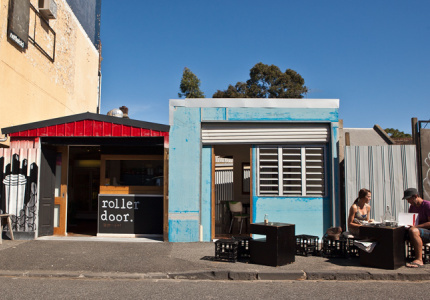 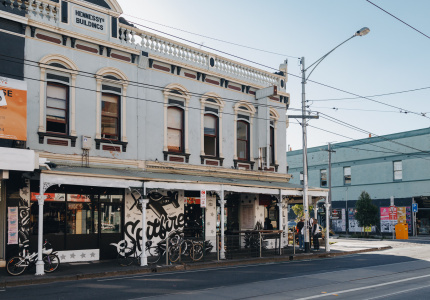 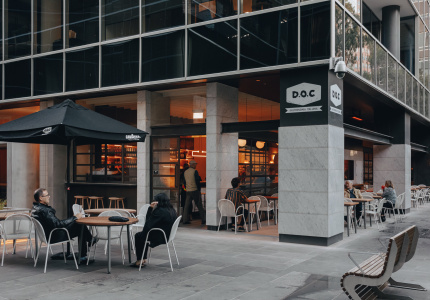 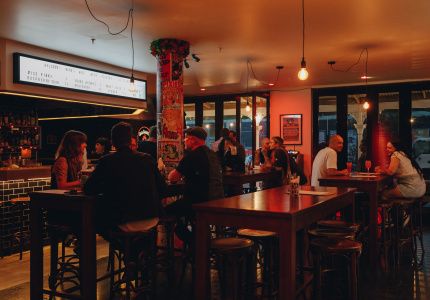 West Melbourne has finally welcomed its first very own local in Roller Door, a pint-sized, weekday-only outfit run by two chaps, Chris McLoughlin and Matt Millen (ex Kinfolk Cafe). 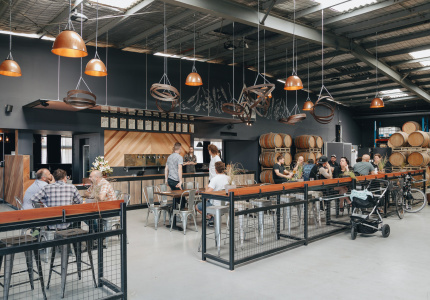 Making intelligent use of an old converted shed, this tiny cafe’s bright, sparkly interior and herb-filled courtyard strike a refreshing contrast to the surrounding neighbourhood’s semi-industrial bleakness. 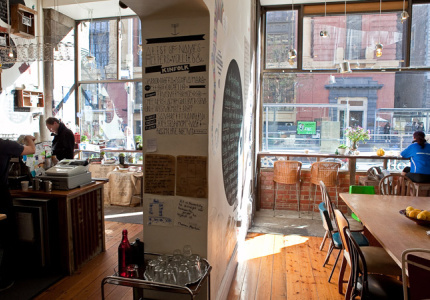 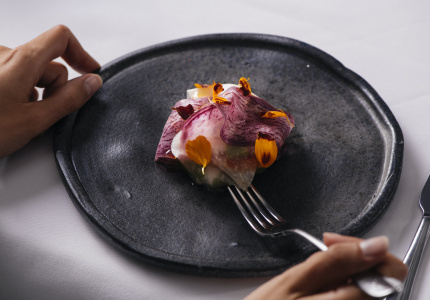 With limited kitchen space to work with, the menu is small but there’s a focus on ethical produce. 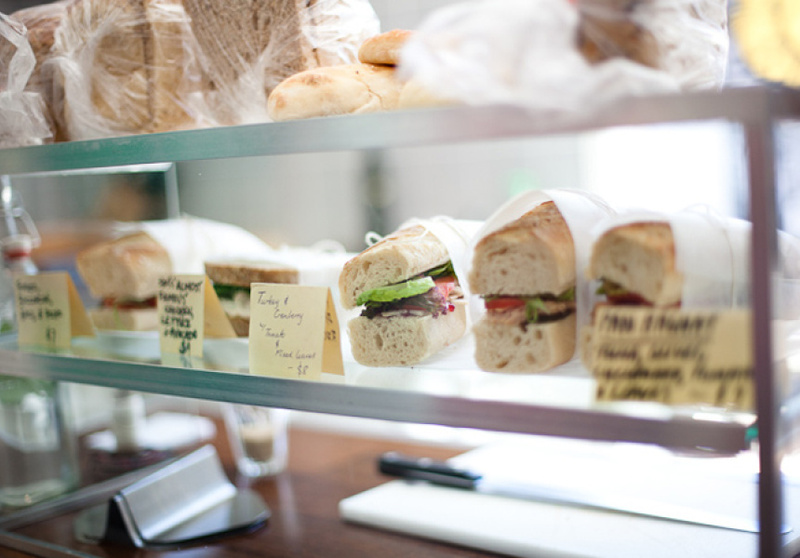 Lunches include a selection of sandwiches and there’s a nice range of Little Bertha cakes. 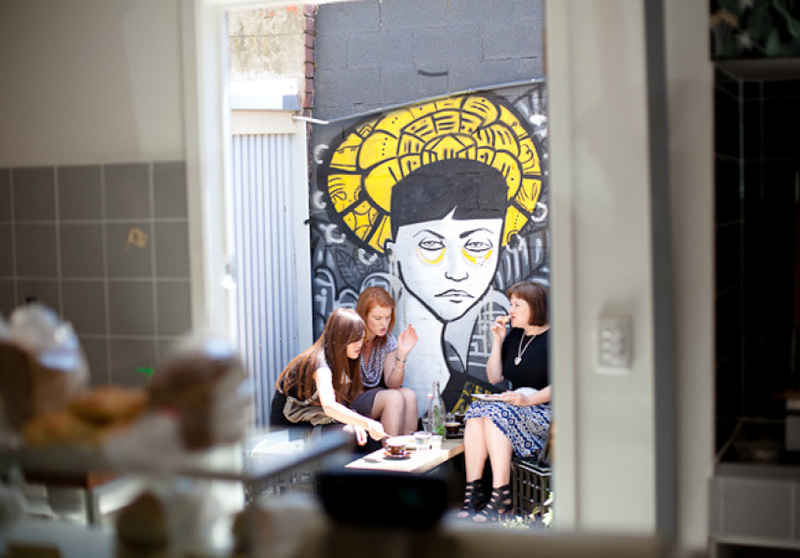 Coffee is Fair Trade and organic and already has a strong following with the passing commuters from nearby North Melbourne train station. 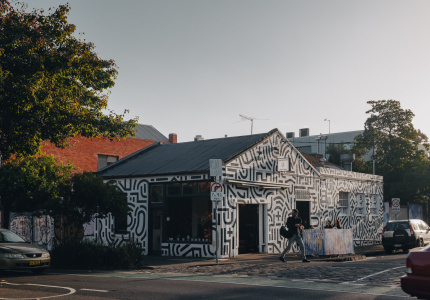 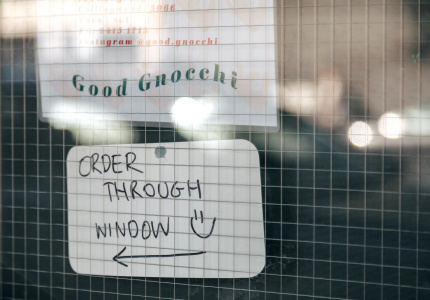 Whether foot traffic from neighbouring businesses will add to the numbers remains to be seen, but it’s a sure bet that most other locals are gleefully rejoicing that these boys have rolled up their garage door to fill a niche in this humble little corner of the inner west.